I meet lots of people who say dating in their Christian community can be a bit of a nightmare. They struggle with the pressure to get it right, everyone is talking about it, and asking when the ring will appear. I believe there are 3 simple things we can all do to take the pressure off, and help create a great dating culture where relationships can thrive. A while ago I bumped into someone I recognised. After the initial panic, I’m happy to say I remembered where I knew him from and his name popped into my head. We asked each other the standard questions, and I started to tell him about my job, and how I deliver talks and training around dating, discipleship, faith, and relationships. He then proceeded to say that he was single, and he felt a lot of pressure when it came to dating. Specifically, the pressure to try and find someone and make it work. There was a genuine look of struggle on his face. He said he had been praying about it a lot recently and just wanted God to sort it. He felt like he didn’t know how to get it right but desperately wanted to. I meet other people all the time who say similar things. They love their church, their church is great, but they sometimes feel the pressure to find someone and settle down. The feel like they need to figure it out on their own. They feel the pressure to get married quickly. They think they can’t make any mistakes in their search for love. Everyone is watching and waiting for the ring. They’re not sure how to move from singleness to dating, but there is pressure to do it soon and to do it seamlessly. Everyone asking the new couple, or just assuming that because they look happy now they will be married next year, makes people who are dating feel like they need to make a decision quickly. Or live up to people’s expectations. 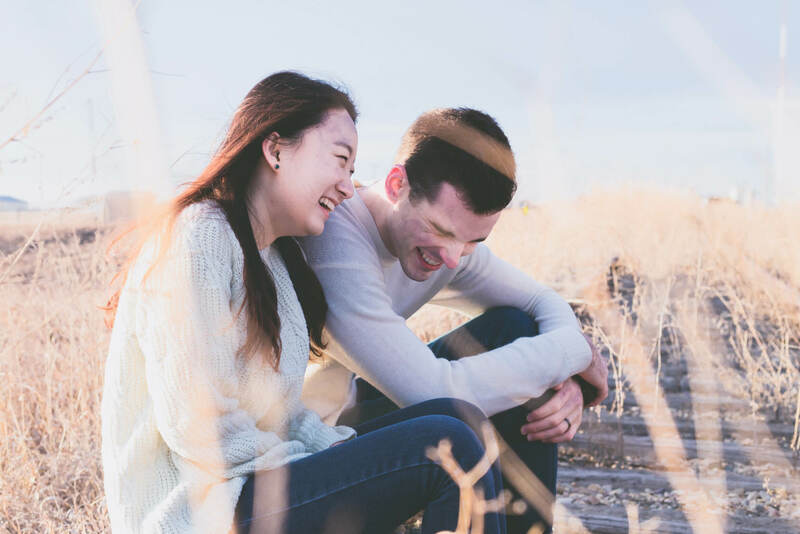 I think being intention about dating and not drifting is important (Read How Pausing To Reflect Could Save Your Dating Life), but the constant pressure from everyone only takes the fun away, and it makes the struggles and concerns each couple faces harder. As if they need to get it right and know the answer right now so they can settle down. By being leaders and people who doesn’t ask ‘Where’s the ring’, we can give people time and space to work on the relationship and give it good foundations as they think through where the relationship is heading, without creating constant pressure. What do you think the aim of dating is? I strongly believe that it’s time for two people to see if they enjoy each other’s company, are well suited, and share core values and dreams. If so, they will both commit to each other and the relationship even more. However, if the couple treat each other well, are open and honest, but realise they aren’t suited, and break-up well, that is not a failure. They’ve realised it won’t work and decided to end for good reasons. Obviously, all break-ups hurt and are never fun, but if dating is a time to discern if a long-term future together could work, then ending an ill-suited partnership before a marriage happens isn’t bad. In fact, it’s wise. When couples in church break-up, they need to do it well and respectfully, and they need support, they need people to help them think through why it happened and what they could do differently next time. But people assuming it’s bad because they were ‘such a happy couple’ makes them think they failed. Which is unfair. No relationship is perfect. No relationship is easy. People who say ‘We met and we just knew, we got married and it’s been so easy’, are creating an unhealthy expectation. All couples argue and need to work through issues. I’m glad people look back on their relationship and say it’s been mainly positive. But there were still things that needed working through. Making single people think that when they date they need to be perfect and ‘just know’, creates a pressure no one can live up to. Imagine if the church was known for being the place where people dated and felt like they were supported. A place where they could get help and date in a way that was caring towards the other person, enjoyable, and God-focused.